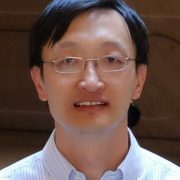 Li Deng was a professor at the University of Waterloo from 1989 to 1999 and then joined Microsoft Research Redmond, where he is a principal researcher. His recent research activities include deep learning and machine intelligence for speech and related information processing. Trishul Chilimbi is a principal researcher at Microsoft Research Redmond. He recently spent two years in the Online Services Division, where he co-led a project to build a new search engine optimized for tail content. His current focus is system infrastructure for scaling deep learning. Alex Acero joined Microsoft Research in 1994 and has managed the Speech group since 2000. He is director of Microsoft Research Redmond’s Conversational Systems Research Center. Before joining Microsoft, he was the manager of the speech group at Telefónica (1992-1993) and senior engineer at Apple Computer (1990-1991).